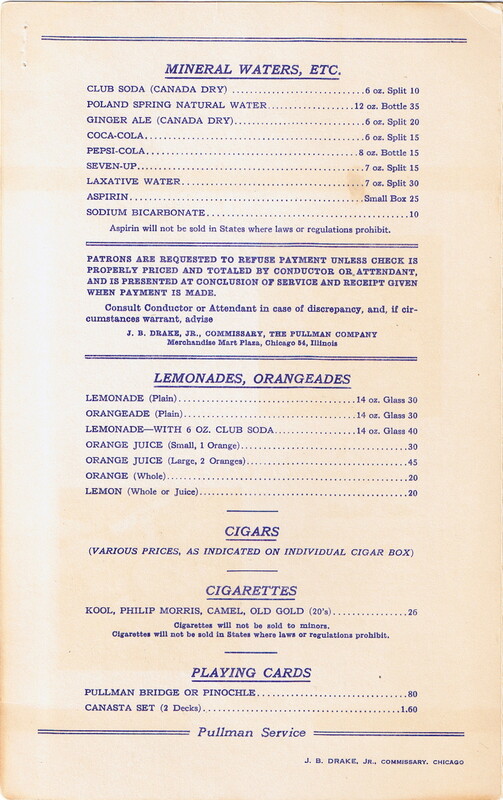 Description An interesting example of a 1952 Pullman Beverage Service menu. Some might call it a "Missing Link" menu. 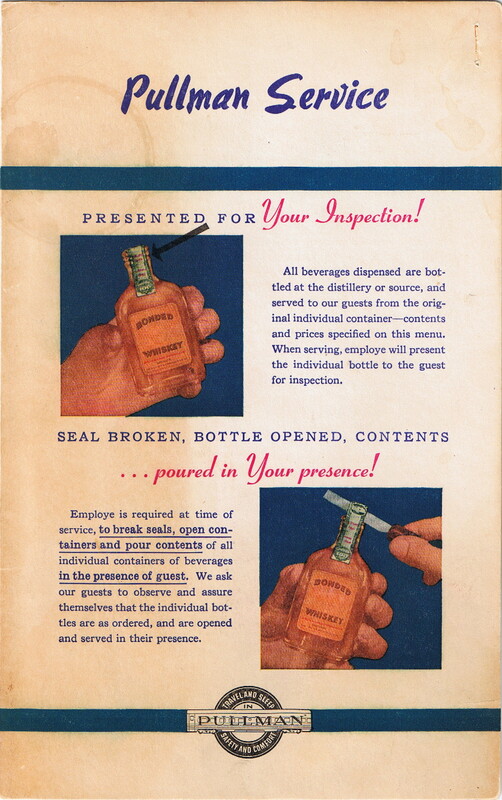 This stock cover was a favorite of the commissary director L.C. 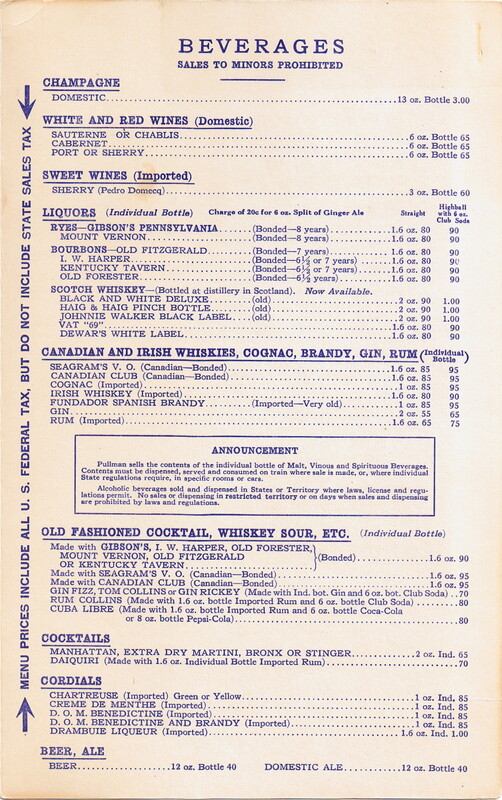 Armfield (as well as other railroads) and was used on many post war menus. 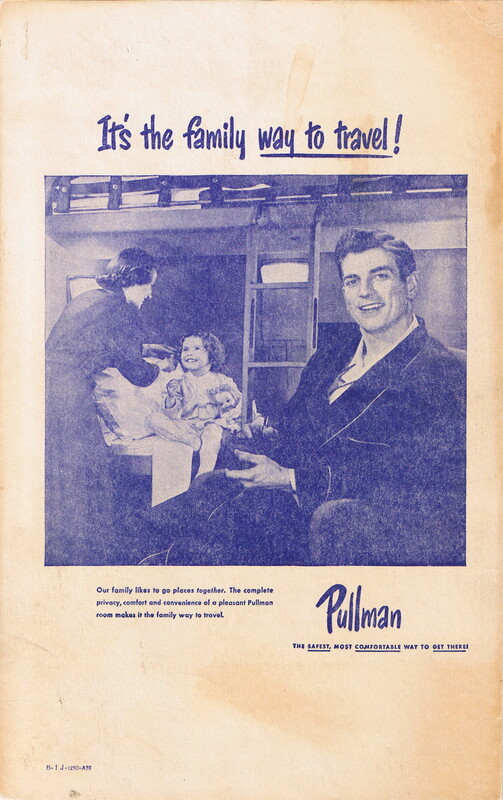 When Drake (from the same family that started the famous Drake Hotel in Chicago) took over the Pullman Commissary, he still used a few of the stock covers from the previous director.